All electrical equipment must meet IEEE wiring regulations. You will require the proper electrical testing equipment as well as proper safety procedures must be followed. It is important to use the right electrical test equipment if you wish to carry out successful electric tests. The test probes, lamps, leads, measuring devices, and voltage detection devices etc. should be chosen with care and used with the proper precautions. It is important to use suitable electric test equipment for these tests, as the wrong instrument may harm your electric facility and cause loss of life and machinery. Unsuitable leads, voltage indicators, test probes etc. may cause arcs if they are not properly insulated or if excessive current is drawn through them. A multimeter that is not being used properly and is not set to the value being measured may cause this. Exposed live terminals, use of low quality test equipment and lack of knowledge about the operation of these instruments may result in serious mishaps and make you vulnerable to electric shocks and fire hazards. 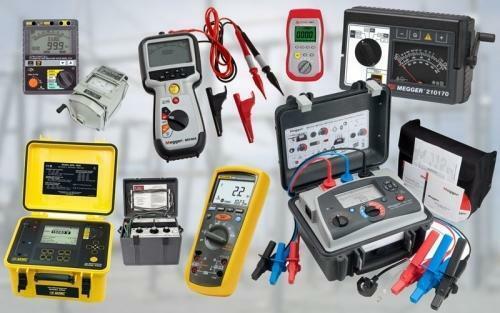 Hence, it is evident that the selection of the right electrical test equipment that complies with the international safety standards is very essential if you wish to perform electrical tests. Our Company advises and provides you the proper electrical test equipment to use . Quasar Co.Ltd is a company not only specialised in electrical equipment and accessories but also in electrical test equipment . We stock major brands such as Megger, Fluke, and Fluke networks, and make sure that the equipment complies with the preset safety standards. Quasar Co. ltd prides itself on quick, efficient and reliable service.